We made a booking for a good apartment as a general fact it goes even better to almost complete this is the first time that this has happened to us and it happened in Venice, We are very happy !!! We were met at the water bus stop @ Rialto and escorted to the apartment. Amazing service. Everything, it was exactly what we needed. It was in a perfect location and was very well equipped. 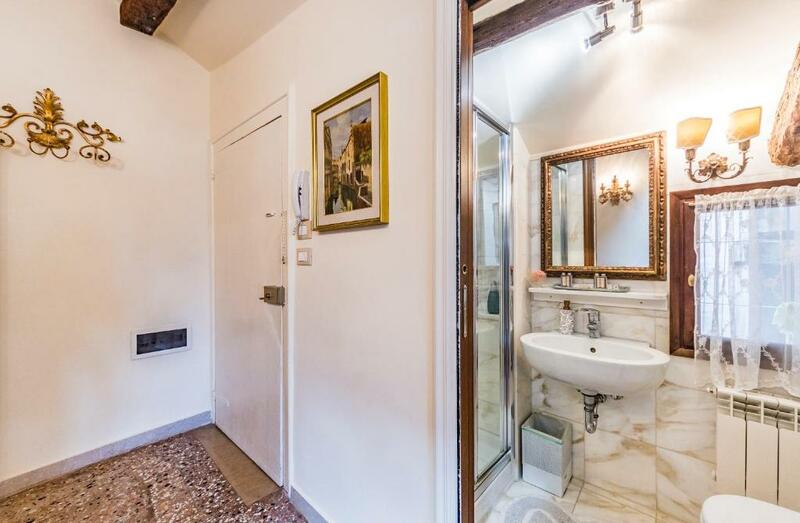 The apartment is in a great location, very central and close to St Mark's Square and the Rialto Bridge. The apartment had everything we needed and it's convenient having a small supermarket directly underneath. Location is everything & this was superb! 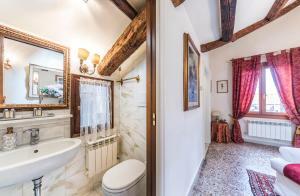 Close to San Marco & Rialto & close to all the action. The apartment was charming. The apartment is located in the best part of Venice! Very close to Rialto Bridge and the Coop Supermarket (Just below the apartment). The apartment is clean and has all you need for a wonderful stay. Excellent reception, and help to get to the place. Lock in a great price for Emanuela's Flat – rated 8.6 by recent guests! 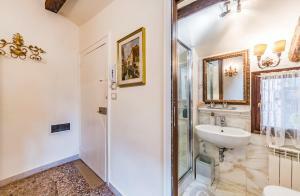 Located in the Castello district of Venice, Emanuela's Flat is an independent apartment with free WiFi. 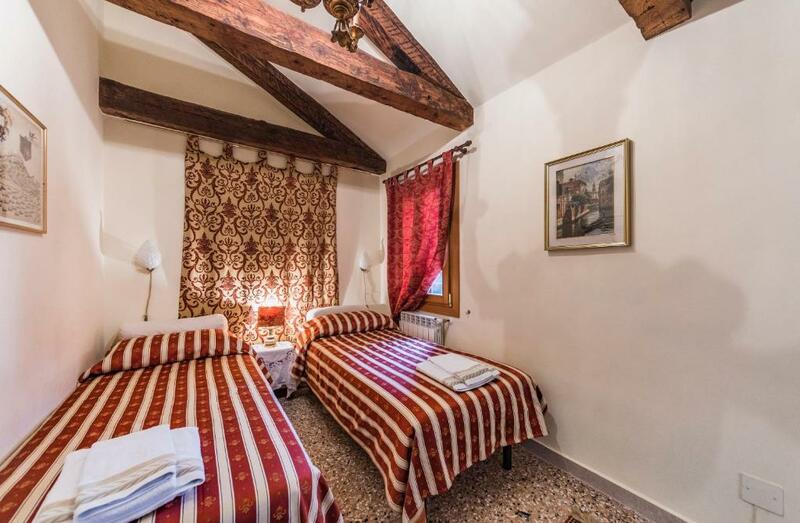 It is just 1,150 feet from both Rialto Bridge and Saint Mark's Square with the Ducal Palace. The apartment is fitted with 2 separate bedrooms, 1 bathroom, a fully equipped kitchen with a dining area and dishwasher, and a living room. Venice Santa Lucia Train Station is 1.2 mi from the property, while Venice Marco Polo Airport is 13 mi away. 뀐 Located in the real heart of Venice, this property has an excellent location score of 9.1! When would you like to stay at Emanuela's Flat? House Rules Emanuela's Flat takes special requests – add in the next step! Please note that check-in and key collection take place at: In front of Vaporetto Stop "Rialto" (line 2 from Central Station S.Lucia), Venezia 30124. Please inform Emanuela's Flat of your expected arrival time in advance. You can use the Special Requests box when booking, or contact the property directly using the contact details in your confirmation. There was absolutely nothing we didn't like about the apartment! Was slightly tricky getting into the apartment with suitcases because of all of the stairs, but it's worth it for the view. The shower door was broken and the shower tray was blocked. No lift to the apartment. About 3-4 flights of stairs to get to apt. Small bathroom and water mixer didn't mix hot and cold well. The cleaner was rude. She came in 10 min before we had to check out, just opened the door with her keys while we were still packing and came in and turned aircon off. We still had time before checkout . Was very rude behavior and so we just left. The room with twin beds has no aircon so have to leave the door open to get some air from the sitting area. The second bedroom need an aircon. It was super hot! It wasn't a problem for us, but be mindful that it's up a lot of stairs with no elevators. Minor detail: Only 1 of the bedrooms had a/c, so the other one could get a bit warm (you'll need to turn on the a/c very low in the common area for it to flow into the 2nd bedroom). Had some issues communicating with the host at 1st but on the day of, it was pretty smooth. Great location - right in the middle of everything, a short walk to St. Mark's where most of the tours start and the boats come and go. Also right on top of a large grocery store, which was very convenient. Fully stocked kitchen & toiletries was very convenient too. Apartment was adorable & immaculately decorated. Pretty spacious master bedroom. Perfect size for 4 people. It is quite up some fairly steep steps. For some reason, we thought there was an elevator but that is very rare in Venice and I am not sure where I got that idea. Also, the locks are a little difficult to work so pay close attention to the instructions and demo. Otherwise it was good to stay here. Good facilities overall. 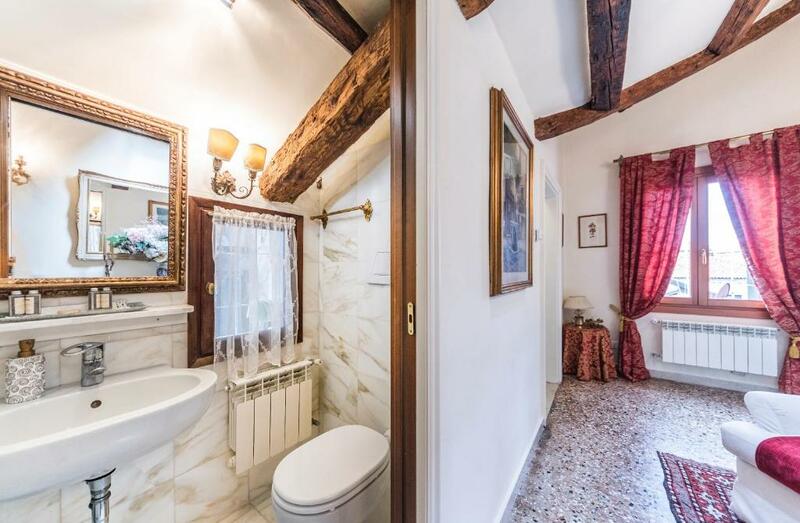 Definitely Looks like you would expect in Venice with old beams showing and high ceilings. Washer works well. Shower and hot water was very adequate. View was fantastic out over rooftops. Shops were nearby. Zan who met us was very helpful.